in Wakefield and Leeds, West Yorkshire and beyond. So, you’ve decided to do your bit for the environment and for future generations by driving electric. Now you need to have electric vehicle charging units installed. But who can you trust to install them effectively? Your dealer will no doubt have a recommendation or two. However, be careful - you may end up paying well above the going rate. Why not contact SJK Electrical as well then to get a free comparative quote? You've got nothing to lose. 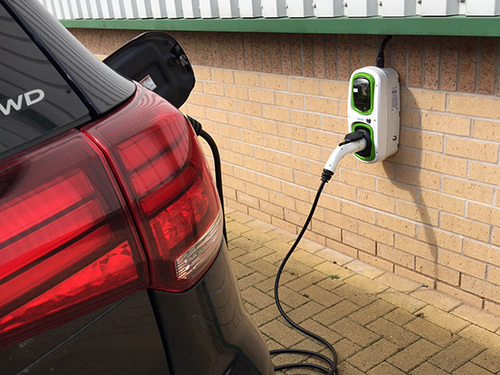 We are leading specialists in the installation of EV Charging units in Wakefield, Leeds and throughout West Yorkshire and can help you get cost saving government grants too. 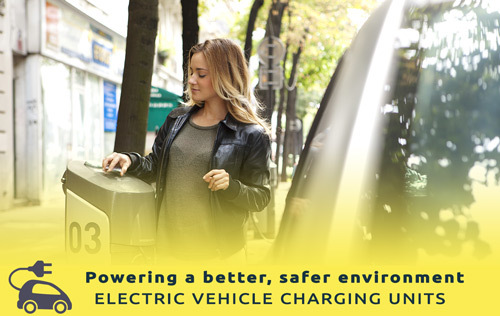 Why use SJK Electrical for your EV Charging Units? 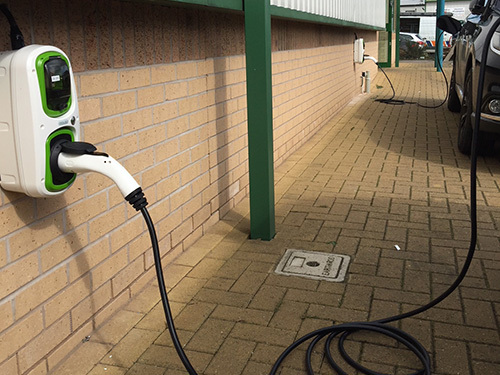 The UK’s leading EV charging units manufacturer ROLEC have approved SJK Electrical to install their products. SJK Electrical are an approved contractor of the governmental Office For Low Emission Vehicles (OLEV). We can help you get cost savings with the Workplace Charging Scheme (WCS). We can advise you how to get a grant with the Electrical Vehicle Home Scheme (EVHS). We are fully certified & insured. SJK Electrical, directed by Electrical Engineer Stuart Kershaw, are fully certified electricians with over 25 years' experience. We are NicEic and CHAS approved contractors and have Trustmark and Safe Contractor approval. We are also fully insured and all our work is guaranteed, so if you happen to have any problems, will be back to fix it. 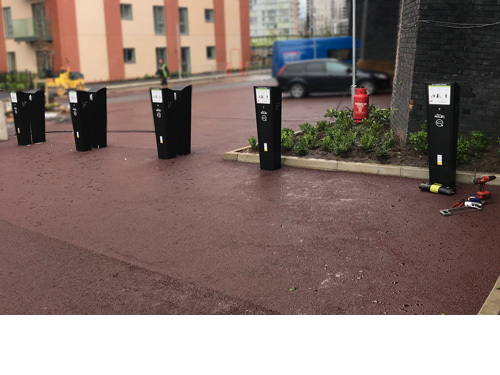 Installation of electrical vehicle charging points for new apartment block in Manchester. Installation of seven electrical vehicle charging points under the WCS scheme for Route One Infrastructure Limited.